Renu Jogi, wife of former Chief Minister and Janta Congress Chhattisgarh supremo Ajit Jogi, will soon quit Congress. Even before the announcement of the election, Renu Jogi may formally join the party in the party of his husband Ajit Jogi of Chhattisgarh. Former Chief Minister Ajit Jogi has given this information in a special conversation with News 18. Ajit Jogi denies the allegation made by Ajit Jogi in his entire conversation on the question of promoting familyism on Ajit Jogi. Jogi does not believe that he has promoted familyism. According to Ajit Jogi, familyism works for the first time, but not repeatedly. Let's tell that after coming to active politics in the former IAS, his wife Renu Jogi and son Amit Jogi contested on the ticket of Congress and now Jogi has discussions of his daughter-in-law Richa Jogi contesting the elections. Renuka Jogi's faith and integrity, with whom Ajit Jogi becomes a separate party, is with whom it is not hidden from anyone in the state. That is why Jogi Ji's statement is not surprising. There is a very confusing statement. 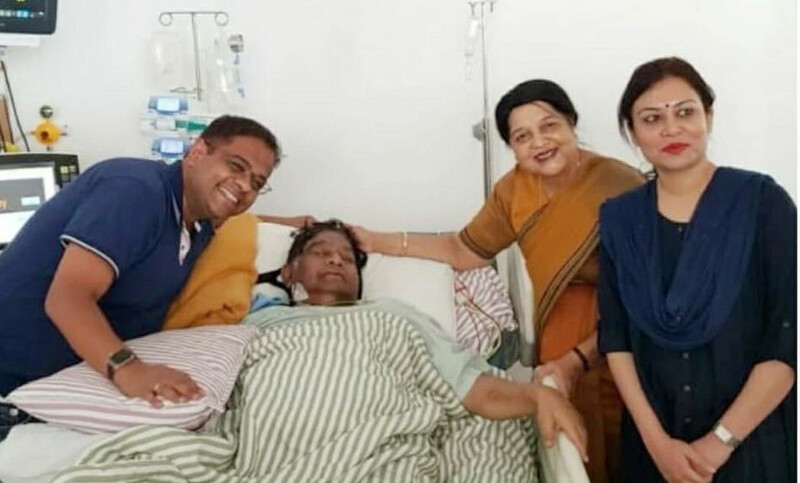 Ajit Jogi and Renu Jogi are husband wives and this is their family affair. The Congress knows this very well. That's why Congress has already sidelined Jai in Renu. Who goes to a party, it has nothing to do with the BJP. The BJP is going to fight elections on its own.